and in the summer months we are very lucky to be able to play some fantastic festivals. 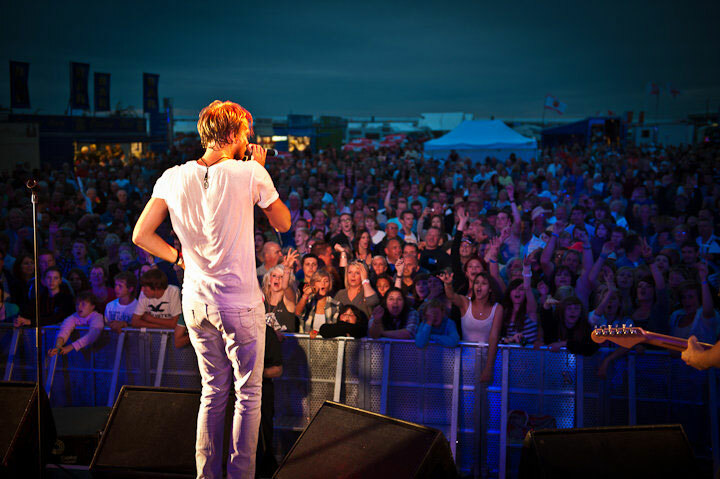 The RPJ boys were delighted to be asked to headline the inaugural ‘Racing Rocks’ festival at the incredible Rockingham race circuit. The festival was designed to combine car racing, gourmet food stalls and great music all together…what could be better than that? The day was everything you could hope for with the sunshine beaming down on the circuit, and all the spectators lapped up the racing (see what I did there?…’lapped’…oh never mind – Ed) and sampled the amazing food and beverages on offer, all complemented by band after band taking to the stage. As the sun set the main support band a local outfit called ‘Gonzo’ rocked the house down with the help of several hundred fans and they left the crowd ready for the RPJ boys. The setting couldn’t have been more perfect, the sun was beginning to set and the RPJ intro boomed across the venue. The boys tore into their set and had the whole place jumping, singing and waving their hands in the air. A fantastic night was had by all and it was a beautiful way to start the festival season.